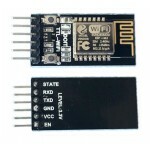 Purchase online ESP-12S WiFi Module (ESP8266-12S) in India at low cost from DNA Technology, Nashik. 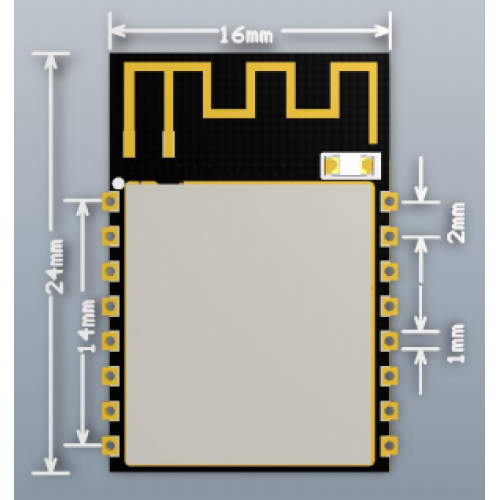 This ESP-12S WiFi module has core processor ESP8266 in smaller sizes of the module encapsulates Tensilica L106 integrates industry-leading ultra low power 32-bit MCU micro, with the 16-bit short mode, clock speed support 80 MHz, 160 MHz, supports the RTOS, integrated Wi-Fi MAC/BB/RF/PA/LNA, on-board antennas. The module supports standard IEEE802.11 b/g/n agreement, complete TCP/IP protocol stack. Users can use the add modules to an existing device networking, or building a separate network controller. 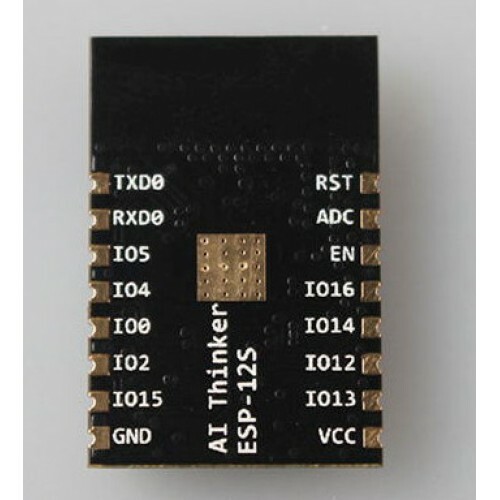 ESP-12F WiFi Module (ESP8266-12F)ESP-12F WiFi module is developed by Ai-thinker Team. Core proc..